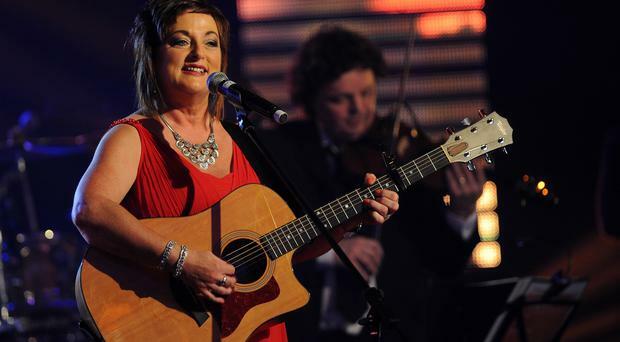 Ray Lynam is one of Ireland's most enduring country singers. For many years, along with his band The Hillbillies, he has enjoyed huge success on the country dancing circuit, and in more recent years has diversified into other areas of entertainment. Tomorrow night Ray will be joining Louise Morrissey and Joe Moore as the featured artistes at a special country dance at the Mourne Country Hotel in Newry. It was while he was frontman with The Hillbillies that Ray became famous for his distinctive style, and he has retained his vocal ability and stage presence. Louise Morrissey has also enjoyed many years at the top, having started out as a member of the family folk and ballad group The Morrisseys. This talented Tipperary lady is very much in demand just now as a concert and cabaret artiste, but she still enjoys playing at dances. “I’m looking forward to linking up with Ray and Joe in the Mourne Country Hotel,” says Louise. Joe Moore hails from the north-west of the province, and is a noted solo performer. But tomorrow night he will shed this image when he will be backed by a top-class band at the Mourne Country Hotel. Meanwhile, I will be joined by Billy McFarland, Triona Moore, Frank McCaffrey and Kathy Durkan for the Hugo Duncan’s Country Classics show at the Ardowen Theatre in Enniskillen tonight. There will be no shortage of country and craic. These are performers I have worked with in the past, and I am really looking forward to linking up with them again. Tomorrow, I will be at Lissan House, near Cookstown, in the company of Nathan Carter and Susan McCann, among others, for the spectacular Gig in the Garden extravaganza. It promises to be quite something.